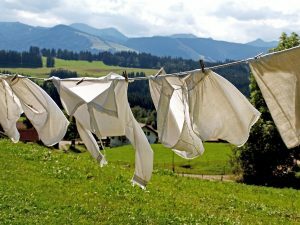 Not having to wash your clothing by hand is a blessing, but this does not mean that washing machines always give you the best results. There are times when you put clothing through the washer only to find them coming out in the same condition as they went in. They may need same day appliance repair to get fixed if they are not working properly. 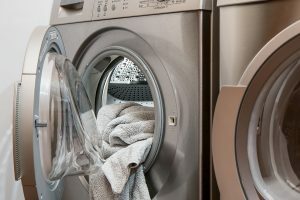 Fortunately, there are a number of steps that you can take to ensure that you are getting the best results from your washer. A lot of people forget that they need to keep their washer clean because cleaning is the washer’s job. However, you do need to clean the lint filter in your washer regularly. This will prevent odors in the machine and will promote better water flow within the machine. It is also important to note that front loader washers are more prone to odors. This is due to the fact that they have mildew and detergent buildups. To overcome this, you can use some of the commercial cleaners on the market, but some manufacturers recommend running a regular cycle each month with a cup of chlorine bleach. Before you do this, you should check the owner’s manual for recommendations. Another way to improve the results you get from your washer is to remove any objects from the clothing before you wash them. Sharp objects like nails can cause holes in your clothing during the wash cycle. They will also cause scratches on the drum of the machine or jam the equipment. Then this happens, the drum will not be able to turn correctly and the clothing will not be washer correctly. You should also ensure that the washer is balanced. If your washer is not level, it will start to walk around. This will not only cause more noise when you use the machine, it will also cause damage to the parts of the machine. When these parts are worn, the machine will not be able to wash your clothing correctly. A lot of people think that extra detergent will increase the results. However, this is not actually the case and the additional detergent may be causing more problems. The extra detergent will generally leave your clothes looking faded and dull. You will also be left with residue on the clothing as the washer will not have enough time to rinse all of the suds. Do not use too much detergent thinking it can remove the stains from your clothes. Make sure that the ones that need more detergent are separate from the ones that does not need any. What Washing Machine Brand Is Best And What Do You Look For?